For parents, teachers, related services providers, and school administrators who have questions about whether children with ADD/ADHD qualify for special education services under IDEA, please read the Joint Policy Memorandum on ADD/ADHD published in 1991. This Memorandum was published jointly by the Office of Special Education and Rehabilitative Services, the Office for Civil Rights, and the Office of Elementary and Secondary Education. The Memo clarifies that children with ADD/ADHD may be eligible for special education services under three IDEA disability categories – SLD, OHI, and ED. It also describes the circumstances under which schools must provide services and supports under Section 504 of the Rehabilitation Act. 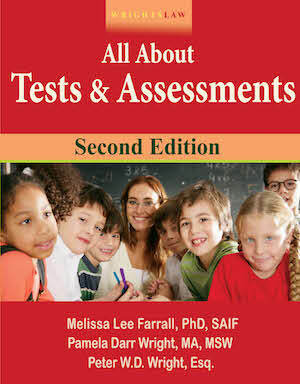 You should also read the “OCR Memorandum: Evaluation of Children Who May Have ADD/ADHD” published in 1992. After reading these two Memoranda, you will have a clear sense of what the laws require schools to do for children who may have ADD/ADHD. 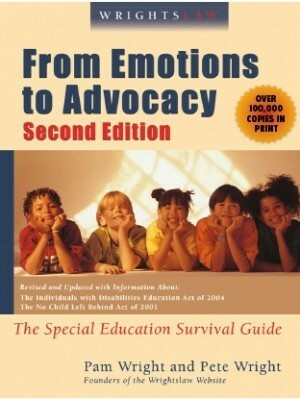 This entry was posted in Advocacy, Eligibility, FAPE, IDEA 2004, Related Services, Section 504, Special Ed Law, Special Education Regulations and tagged ADD, ADHD, ED, Eligibility, IDEA, Office for Civil Rights. 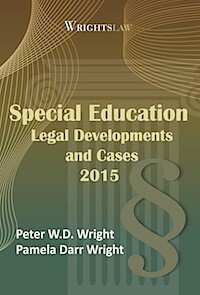 OCR, Office of Special Education and Rehabilitative Services, OHI, OSEP, Section 504, SLD by Wrightslaw. Bookmark the permalink. Today the school told me my son no longer needs an IEP! He hasn’t been able to meet the goals on the last one, and they are completely lying on his asscement results. They are stating that he can sit down and write a full paragraph with 80% accuracy in the time given. So I wonder if I can request if I could come in and see this happen. Through all the testing that the school did during the evaluation process, it is apparent that my son has ADD. Does he need a dr.’s medical diagnosis in order to receive services or is the information in the evaluations enough? My son has a 504 program and is still failing classes but passing the special courses for those classes. I need help with getting the school to amend his 504 program. I also do not feel that the implementation of the 504 program is being followed. Please guide me in the right direction. My son has ADD and deals with anxiety on top of it. I do not want to see my child left behind, I keep getting the run around with the school saying “let’s just get him through this year”. I need guidance please help…. If your ex has final say in educational decisions, can he prevent school from doing 504 assessment as requested by other parent? My son has been on a IEP since 7 and he is now 13. They took him off IEP because he is doing well in school. He has been diagnosed with ADD and takes medication. I’ve noticed his grades have slipped a little since this. More so in math than other classes, which I know he has more interest in, so will be more apt to pay attention more. They are telling me that because he is getting decent grades the add is not considered a disability and refuse to put him on a 504 plan..what do I do? See if you have a local organization such as, PRO, Parents Reaching Out. They are an advocate group that will be able to help you get the right level of support for your child. aw Get use to the lying. I have seen it a lot through the years with my children. I take a digital tape recorder to my meetings and it helps but still catch school in lies. 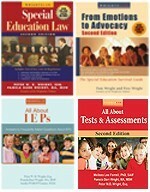 You need to learn as much as you can regarding the disability and the 504 plan and OHI IEP (Other Health Impaired) IEP. 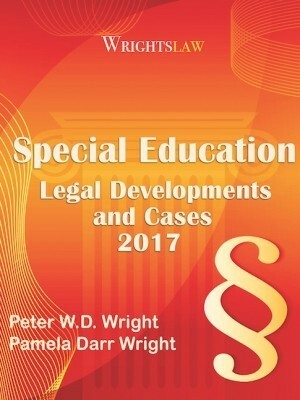 Many of these are on line on your state education web site or many advocate websites (Wrightlaw’s books, LDonline or LDA of america ). The best defense with the school is a good offense. Learn as much as you can and don’t delay. Every day your child is not provided services is a potential delay of education as well as causing him to feel bad or discouraged. I should have taken my son to get evaluated for adhd when I at least suspected it, but was bullied by my ex since our son lives with him, though we have 50/50 custody. He was 7 then. For 3 years my sons grades were F’s and D’s, but the school never held him back. They evaluated his as borderline adhd and recommend his dad to get him tested, but the dad never did. I keep asking the dad too without success. Finally with a courage I took my son myself and he has been diagnosed by the RN. I had a meeting again with his teachers and was told by the assistant principal that a new plan called 504 would work for my son. Then I heard from his nurse that she’s heard before. I look it up online and 504 has been around for a while. Son’s father and teachers have been delaying the help my son needs. I was lied to in the face. I’m so mad. 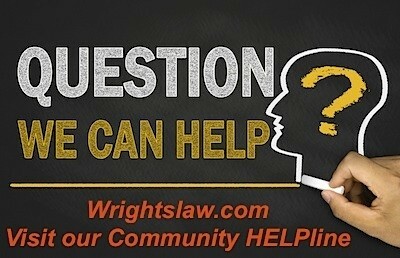 Wrightslaw has an amazing amt of information on how to get started fighting for your child. Another really excellent website is Ldonline.org . They specialize in ADHD issues. My fav is their ‘Ask the Expert’ section. One could spend hours reading Q & A’s from parents & the national experts who answer them, on situations that are the same or nearly as yours. Everything from special ed law, accomodations, services, behavioral, technology assistance, etc can be found there. Really excellent info. 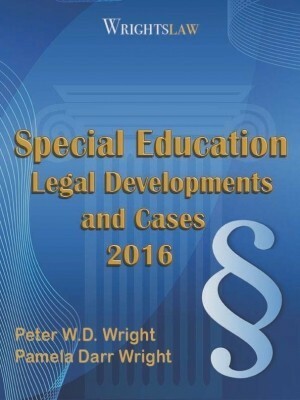 Make sure to check out the expert, Matt Cohen, one of the country’s top special ed attorney’s & highly respected like Pete Wright. I’ve attended one of his seminars at a national ADHD conference. It was eye opening & empowering. Knowledge is Power, Go For It!! Shander write a a letter to the district’s superintendent requesting an evaluation due to concern with your son’s symptoms of ADHD adversely affecting his educational performance. 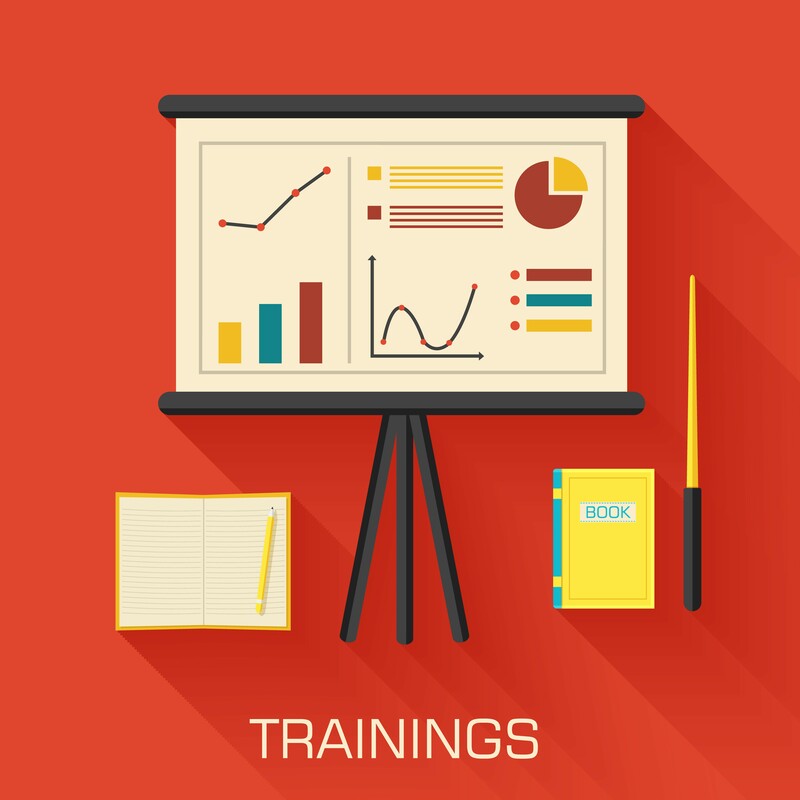 Your state board of education may offer parent resources on how to format your request, Wrightslaw also has excellent resources for doing so. Although your son is expelled it is still the responsibility of the school district to find, identify, and evaluate any students suspected of disabilities. My son has severe ADHD and is not receiving any type of intervention at school. They just expelled him until 2012 and 2013 2nd semester school term. He is 13 years olds. What can I do? Should he protected under the 504 plan? The school have not done an evaluation on him. They just kicked him out of school. What if anything I can do about this? Roger, Have you requested an evaluation from the school in writing? 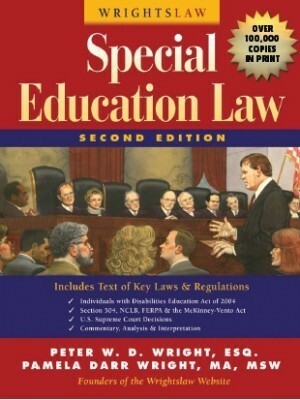 Schools are responsible for locating, identifying and evaluating ALL students suspected of having a disability. You most certainly have enough data to demonstrate suspicion of a disability. If they have evaluated and said he did not qualify for an IEP, under the IDEA why did he not qualify? If they said because there was no “adverse educational effects” I would question that, because if he is being suspended left and right, this could be adverse effect. Read the part of IDEA on TBI, contact your state’s Parent Training and Information Center, and buy or check out the Wright’s books! One other thing I would begin documenting all and everything back to the school, IN WRITING! My son had a car wreck,had a moderate concussion. The person with him died. We noticed behavior changes in him with decision making. He got caught dipping at school. A neuropsych evaluation revealed that the TBI left him with impulsivity and lack of reasoning skills. We had documentation from 3 doctors, yet the school would suspend him when he did something. His last offense, he was suspended from school and expelled for the last 2 1/2 days. We went before the board, with the medical records explaining his handicap and lack of reasoning skills. He also had a 504 plan. The expulsion was upheld and now he won’t be allowed to participate in sports the first 45 days of his senior year. Can a school and district ignore a problem like this when they have been given documentation? Joni, Yes the school should have an official document to provide 504 services. The school must have a document that describes how they handle 504 plans, a written policy. Start by requesting to see that policy. That ought to make them sweat since they may not have one. If they don’t have a policy you have it made. You can clearly state they are out of compliance and file a complaint with the state. If they do have a policy it will tell you what you need to do. You may want to check out OHI IEP (Other Health Impaired Individual Education Plan). Your child sounds like he may qualify for this. A physician signs the official OHI school paper and then you get together and put together modifications and accommodations for you son’s health issues in writing and it is legal. Your physician may be able to help as well. It sounds to me like the committee needs to decide which diagnosis causes the most significant adverse effect on his education. He could be labled as speech-language impaired or OHI (for the ADHD or the anxiety disorder.) You need to bring all documentation from his physicians to the meeting. Read everything you can on ADHD and ADD. Find an advocate and/or a support group with other parents that can offer assistance. Read the books by the Wrights and others as well. It sounds like you have a good situation for now. However, in my years of experience, teachers that really want to help are few and far between. Make sure that what this teacher is doing to help is WRITTEN DOWN in the IEP or 504 plan. I got my son on an IEP with an OHI (other health impaired) diagnosis. We had to take him to our doctor and fill out a form for the school so they had evidence that he had ADHD. We were able to get legal accommodations/modifications for him written into the plan. I am new to this website but after reading your comments, I feel relieved to know that the emotions I am feeling about my 7-yr old, who is currently being evaluated for ADD, are valid and real. All this is new to me and I am looking to become as educated as I can about ADD so I can help my daughter. Her teacher, thankfully, has a child of her own who has struggled with ADD, so she understands the feelings/emotions and confusion I have and she also is very good about working with my daughter and keeping me informed about her progress each day. I am waiting to meet with the school psychologist to see what accomodations can be made for her. I have so many questions, but I want to make sure I am asking the right questions. What have been your experiences in getting started? I am a college student with ADHD. 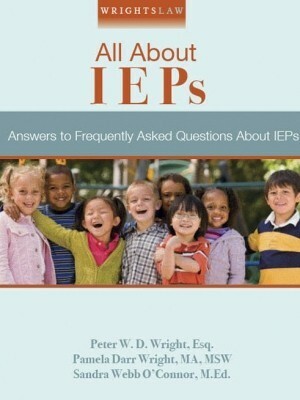 I had an IEP all through elementary, middle, and high school. (I was diagnosed at age 7) I’m not sure if it was under the 504, but, in middle school, my IEP was almost totally ignored by the staff. My parents argued on my behalf to the best of their ability, but weren’t able to come to the school for meetings very often because my father had, had a stroke and was in the hospital for about four months. In high school things went quite smoothly and the faculty were quite receptive to my needs. Its important to be well informed of what your child’s rights are in order to fight the school system to ensure your child’s needs are met. Thank you for posting information in order to help parents with children like myself, I know it wasn’t/isn’t easy for them to deal with me at times because of my ADHD. My son is close to his sixth birthday.ESE dept at my district has been trying every trick to get me to sign off on his iep.They labeled him DD WE all agree he is PDD (ot and PT as his brother has aspergers.So far his DX include anxiety disorder,OCD,ADHD,speech and lang disorder. I have all documentation since age 2 for repetitive speech and behavior. The DOE has really become quite difficult,despite my son’s behavior problems in class they continue to down play and use RTI. WE must come to some agreement soon as the DD label must come off by age 6.Is this true?MY question is if I can convince them to continue ESE with a new label of OHI Is this a safe code/label.They are changing so much I am afraid they will discontinue the whole OHI program. 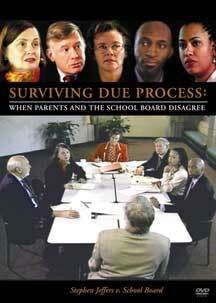 Martha – Did you have the school do a multifactored evaluation of this child? If not that would be a good place to start to see if the child qualifies for special services and writing would probably be one of the services. If you have had the evaluation and this child does not quality for special ed services than a 504 or OHI IEP (other health impaired IEP) may be written. The school should have a policy on how to get this. We had to get a doctor to put down on paper that our son was ADHD and would benefit for additional services in school. He was on an OHI IEP for 3 years. Prior to this he was on a 504 and the school did not do as much for him as when he was on the IEP. My Nephew is ADHD and on medication he can read like a wiz but cannot write legibly. Is this associated with ADHD and what is it called so that I can speak intelligently to the group to write his 504 plan because when I try to explain it to guidance counselor and the like they always say I never heard of such a thing. Then they try to review his writing and are amazed at the fact that he can’t write. He also would like to know what to do about a signature because he really struggles with this. 20 year old son has completed post secondary training but is unable to pass the exit exam (which also is the practice exam for licensure through a governmental agency) He had an IEP through high school and accommodations on the ACT however, has done fine with none of the above throughout the two year program. Until now.The school won’t make accommodations on the exit exam because it might jeopardize their status with the governmental agency since the agency controls the program. The director of testing was going to contact the agency and inquire about what if anything could be done. The accommodation that my son needs is to separate the sections of the test-due to his extremely poor working memory which is documented on a neuro psych eval from 2005. Any advice? 7th grader – I agree that having ADHD is not your fault. I have a son that has ADHD and had similar difficulty in school like you. We had him on a 504 plan for awhile but then were able to put him on an OHI (other health impaired) IEP where he was able to get help with having more time to take tests, having a POSITIVE behavior plan that the staff had to follow. My suggestion since you are obviously smart and found out about Wrightslaw web site to post this question is to research ADHD by reading books by Wrightslaw, talking to your school counselors, talk with your parents, there may be good books at the library on the subject and if you have a Learning Disabilities Association in your area they may be able to give you some direction. I am a 7th grader and i am doing kind of bad in school because i have ADHD i have got one F so far and my dad flipped out and and grounded me for the rest of the school year which is like a month and a couple days. I am trying to tell him that it is not my fault i have ADHD and all he says is so what you must try harder. I try my hardest but all the teachers say is o your not good at this you cant do that or you did a horrible job. And also my teachers just yell at me and when other kids do bad stuff nothing happens then when i say one thing by accident because i cant help it my teacher yells at me. I am only 13 two so please write back or something so i can show my parents it is NOT MY FAULT !!!!! Here’s an article your parents may be interested in. The Blame Game! Are School Problems the Kids’ Fault? https://www.wrightslaw.com/advoc/articles/ALESSI1.html Can you make a copy at the library for your parents and politely leave it for them to read? Pick a calm time when your dad is not “flipped” out. I need help with a question. My child has several disabilities that would make her eligible under IDEA for sped. However, She has a current 504 for seizures, and fine motor delays. Now she has been diagnosed with dyslexia and ADHD. Her IQ is bright average 112. I have asked that she be served under 504 with the Wilson reading program. The school says they will give it to her IF I agree to place her in sped. Can one-one tutoring be considered a related service under 504? They have put her in an early intervention program but it is not research or standards based. They do not want to give her the Wilson or private Wilson and say they ONLY do that for sped kids? Any help would be appreciated. I just don’t want the label of sped for my 7 year old daughter. Reading and spelling are her only weak areas. I’m not aware of having this kind of privileged on those add-adhd children. I as a parent I want to give my child a better future. I don’t want to lose hope. If this could give my son a better future I’ll try to learn more of it. I think that the school system should focus on helping the students that really need the help, instead of seeing how many times they can get written up or suspended. I have never seen such a backwards system. it seems that when they have issues with a student they have a great system for tracking their referrals, Saturday schools, ISS’s etc. If only they could focus on supporting the student and watching them succeed. The students that have academic ease are going to be just fine. The ones that do not, struggle. Many of them do not graduate. If only the administrators could recognize this instead of trying to expel the student we would have a much better success rate and a much brighter outlook. Put yourself in the struggling students shoes, don’t call them out in front of their peers. Help them instead. I feel your pain!! I have a 17 year old son with ADD, and a 13 year old son with severe ADHD. I am sooo sick of the run around with the school!!!!! My son has the worst case our school has ever seen, so my son is the ginpig as they put it. We have tried many things, the 7 grade teachers at our school have NO compassion let along tolerance for kids that have ADHD. He has a 504 plan, but as of this week Apr.21 09 he had 3 F’s out of 6 classes. But this is on me and my son, NO accountabilty for the teachers and staff at the school. My 13 year old is very weak in math skills, but not weak enough for special Ed. All I want is for my sons to get a good education. I am willing to do all I can to help. Why isn’t the school and their staff willing????? I have been in a year long struggle with the Elementary School with my ADHD son. Because he is passing and not behavioral the school as well as my advocate feel he does not need any support. However, because of his struggles with organization and his anxiety over tests he is now refusing to go to school. He came home from the PSSAs stating that he wanted to kill himself because he felt that he did not do well on the PSSAs and his teacher said if he didn’t then he wouldn’t go to 4th grade. The school states that any problems he has come from the home, b/c my sick grandfather lives with us and I am a single parent. I have him in therapy and his therapist feels that the school is emotionally abusing him by not acknowledging he has a disability and making him feel academically unsuccessful?Not sure what to do, any suggestions? I really apprecite this webside help me find my answer about add & adhd for my son, he is having diffulcuties academically and was affraid to ask his elementary school but under the 504 act I can have my child evaluated from school . I hope I can get proper assistance from the school. My child has severe ADD/ADHD and is not receiving any type of intervention at school. VP and teacher’s are working together to get my son sent to alternative school. He just turned 7 and at home, with friends and family, he does not display himself as physically dangerous as his referrals display. What can I do?